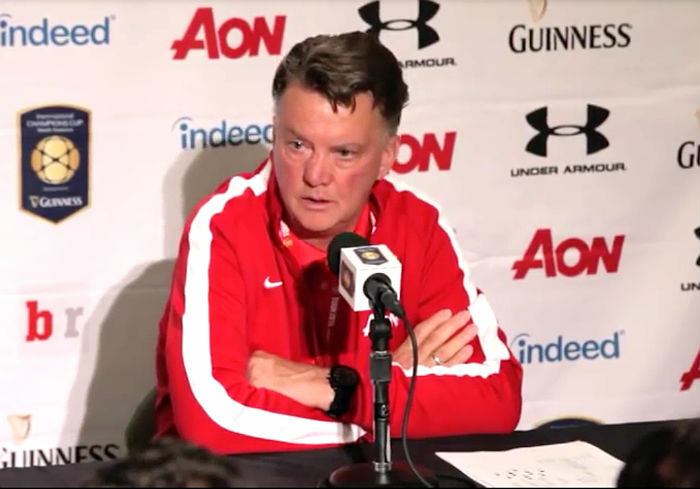 You are here: Home / Soccer / Champions League / Louis van Gaal Faces Manchester United Day Of Fate? The Premier League side head into today’s battle down 2-1 after losing the first leg in Denmark last week and will need to turn things around at home if it is to avoid an embarrassing exit from the tournament. On paper, Manchester United have the better side, but that was what we also thought last week and we all saw what happened. Some of that immediate pressure was slightly taken off Van Gaal during the week with the 3-0 victory over Shrewsbury Town, but things would certainly heat up again if the Red Devils fail to get past Midtjylland at home. Manchester United enter this matchup with a number of injury concerns, and it got even worse for Van Gaal, following the news that first-choice goalkeeper David de Gea failed to recover from the knee injury that kept him out of the last two games. De Gea sustained the injury while warming up for the first of this clash last Thursday. Leading centre-back Chris Smalling did not train on Wednesday and will have to be assessed ahead of the game, according to club officials, after the England international sustained a knock colliding with an advertising hoarding in the FA Cup tie. Left-back Cameron Borthwick-Jackson and striker Will Keane are also doubtful after they both picked up knocks in Monday’s win over Shrewsbury Town. If Manchester United were to lose today, you can’t help but to think it would be the last game in charge for Van Gaal, who is a strong favourite to step away from his post at the end of the season if he lasts that long. Meanwhile, with Wayne Rooney out for up to two months, Man United will be looking for young Frenchman Anthony Martial to lead the attacking line against with Juan Mata and Memphis Depay also expected to start in support. According to SkyBet, Martial is priced at 11/8 to score and Manchester United to win in 90 minutes.